Thinking of buying your first drone, or perhaps upgrading to a new model? Personal friendly drones can be both exciting and rewarding. From aerial photography to fun flying, you are bound to find something enjoyable. To help you get started, we have listed below 4 of the best-selling friendly drones currently on the market. 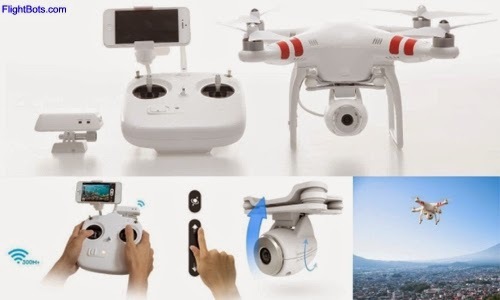 The DJI Phantom is a compact Quadcopter that is extremely easy to operate. It's intelligent flight control system allows anyone without RC experience to fly the Phantom. Attach your camera and get stunning video and photos from a whole new perspective. Various models available. The X4 's micro size makes it pocket-portable for indoor flight virtually anywhere, yet its quad-rotor thrust makes it powerful enough to fly outside. Blue LED lights built into the rugged body illuminate the way, and the included micro LiPo battery delivers plenty of power and recharges quickly. The HUBSAN X4 is completely ready-to-fly, and excellent value. The Parrot AR.Drone is the first quadricopter that can be controlled by a smartphone or tablet. By tilting your device, you control the direction of your AR.Drone, and by releasing it, the AR.Drone is instantly stabilized. Thanks to the AR.Drone’s autopilot feature, anyone can be an expert as the AR.Drone allows for an easy take-off and landing. The Walkera QR X350 Quad Copter is packed with a wide range of features that make it perfect for the budding aerial photographer and hobbyist alike. Landing is easy with one key return to home and the GPS altitude hold and stabilization. These features will keep your flights predictable and on the level. The QR X350 is perfect for users of all experience levels. Friendly drones are gaining rapidly in popularity around the world. Come join the party!